Do your children have a lot of books? Ours have a ton! Baby E will pick reading a book over a cartoon any day. I had to figure out a way to store all those books without taking up to much space and all the while leaving them within toddler reach. I found the perfect solution for our small children's room, the Whitney Brothers Two Tier Book Carousel. This thing is amazing I tell you! The design is simple and genius. In a small space that's less than 2.5 by 2.5 feet, I am able to store all of our children's books. In case you are wondering, it does also come in a 3-tier carousel option. In the past three years we've only bought about 3 books for our children, the rest are gifts and hand-me-downs. 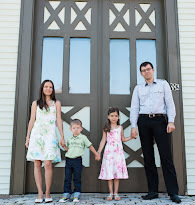 We have about 50 books in Russian and 60 in English. We only have two bedrooms, so Baby E and Baby T will be sharing this room soon (right now only Baby E sleeps there). 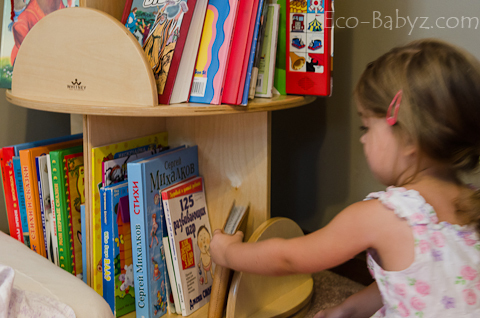 I didn't want to put all the books on their existing bookshelf since Baby E wouldn't be able to reach them, and most cubbies were taken up by toy bins and craft supplies anyway. This piece of children's furniture is so durable and very high quality. It is designed for use in daycare centers, so of course it is made to take a beating. It has sturdy birch laminate construction and ships fully assembled - which was awesome! My husband just took it out of the box and dragged it upstairs - done! It is made in the United States. Let me reiterate that, it is made in the USA! Actually made in Keene, New Hampshire, which is local to me. This makes the price tag of $295 that much more understandable. Did I mention it has a Lifetime Warranty? Yeah, you need that with bouncing-off-the-walls toddlers. Moreover, it is Greenguard Certified, with is a big deal. This means that Whitney Brothers products meet a very strict chemical emissions standard, leaving your nursery or children's room safer to breathe in. 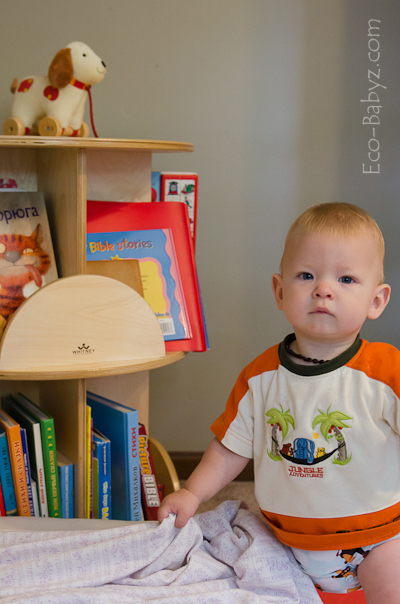 As you may suspect, indoor air quality is something we take very seriously at Eco-Babyz! We love this book carousel! Sometimes we read random books, other times we read all the books on one side for a week, then rotate it and read all the ones on the other side. The books are easy to see and easy to reach, the design is just very kid friendly and visually appealing. Sometimes Baby E just sits there spinning it for several minutes, trying to decide what to read - I love how effortless it is to turn. We love the neutral, classic birch finish that blends seamlessly with everything else (something I can appreciate as an Interior Designer). The top is a perfect spot for a potted plant, I haven't gotten around to putting one there yet. I think a globe would look great there as well. With all the books we have, there is still room for more! Aside from this cleverly designed carousel bookcase, Whitney Brothers has a variety of other children's furniture. We highly recommend checking out the Coat and Bag Tree, Tabletop Light Box, and the Revolving Dress Up Center. I think this bookshelf is great and just the rite size. I love this! This is great for kids books, but I'm going to take a look to see what they have for me - I have a lot of books that I have to organize. 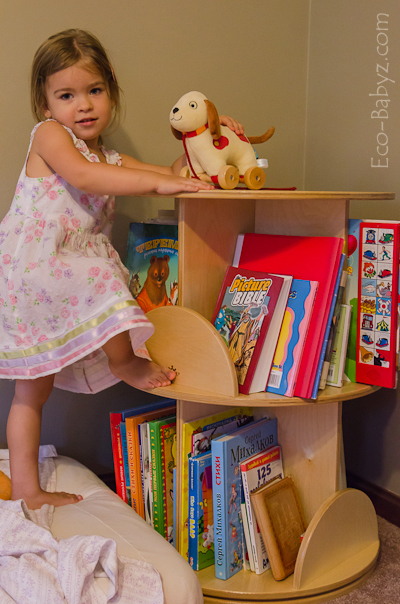 What a great solution for all the kids books I have scattered everywhere - and great for our small space!